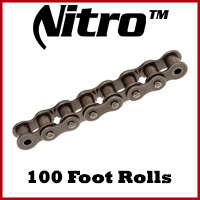 ANSI Standard single strand roller chain ranges from #25 to #240 series. 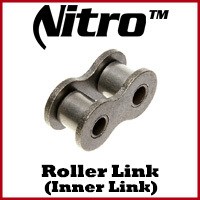 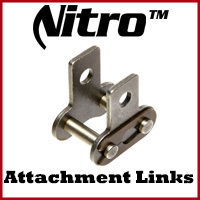 This is the most common roller chain in the market. 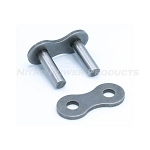 Great quality roller chain at affordable prices. 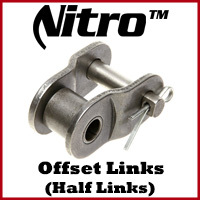 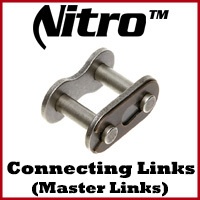 These act the same as a connecting link except the side plate is a pressed fit and it requires the pin to be peened over.